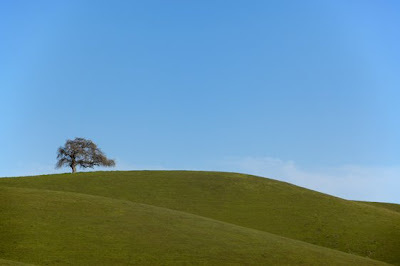 I can not tell you how many times I have driven down Highway 280 and seen this one lone tree on this hillside, and how many times I have thought that this would make a nice picture. Well...after many years of thinking this, I finally had my camera gear in the car and was willing take the risk to pull over on the highway (during hush hour traffic) to take this. Now I can drive by this and think "OK - I got that one!". One of my favorite views of San Francisco is from Twin Peaks. I grew up within a couple of miles from this point and have not been back there for a while. Since I was in the city and the weather was pretty clear (especially for SF), I made my way up the "hill" and shot some pictures. As I drove up to the peak, I knew how I wanted to shoot the images. 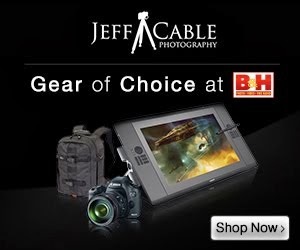 My goal was to capture a panoramic shot of the entire city, from the Golden Gate Bridge to South San Francisco. Well...I did that. 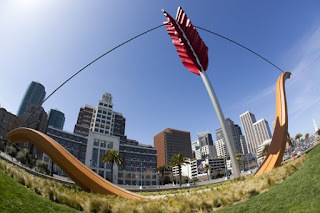 I shot 20 vertical images (handheld) and then came home and stitched them together (using Arcsoft Panorama Maker 4 Pro ) into on MASSIVE file. Yep...that is 20 images at 21 megapixels. That would make this a 400MP image that takes 450MB on my hard drive. It is so big that Photohop won't let me save it as a JPG or PSF file. The resolution is so high that I can zoom into any of the buildings downtown and have a clear image. Totally cool! The image that you see here is 4% of the original size. If you click on the image, you can see it a little better. 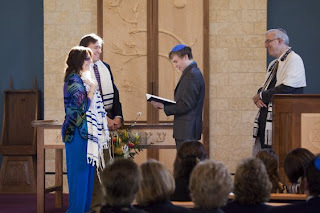 Last Saturday I made the drive up to Walnut Creek to photograph Alex's Bar Mitzvah. We had really nice weather and a Temple with really nice lighting inside. Once again, I was able to use the video capabilities of the Canon 5D Mark II to capture images in the Temple without the annoying shutter noise from the camera. And the quality of the shots from this 21MP camera is awesome. After the service I made the trip to San Francisco to visit my mother (since I had time in between the service and the party). I was showing her the capabilities of Photoshop and how you can manipulate images. 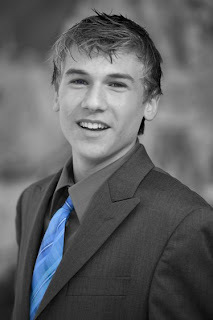 I turned this image to B&W and then brought back the color in Alex's eyes and tie. My mother was very impressed and Alex loved this picture when we projected the images at his party later that evening. I saw this very cool piece during the Kiddush luncheon. 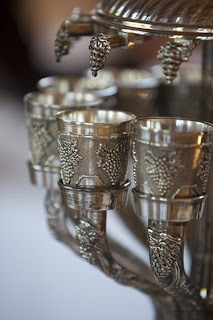 The Rabbi poured the wine into the top and it spilled into each of the surrounding cups. In all the Temples I have worked in, I have never seen this. Always looking for the cool detail shots, this is one of my favorites. The party...what can I say...this one rocked! "Denon and Doyle" did the entertainment and I have to say that they were amazing. It makes my job so much easier when there is cool lighting and lots of action. 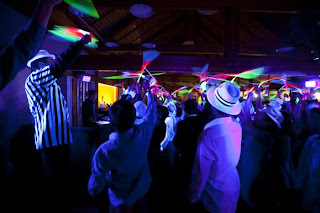 This party had it all, the music, the lights, the props, nice people and most of all...fun kids!